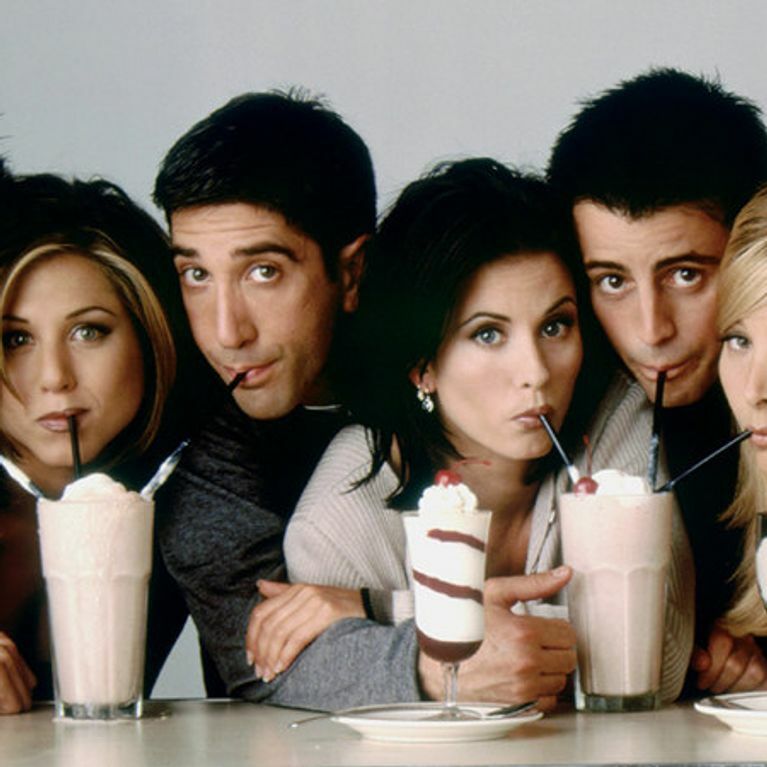 OH.MY.GOD - The Cast Of Friends Have Signed Up For a Special Episode! Home / Entertainment / News celebrities / OH.MY.GOD - The Cast Of Friends Have Signed Up For a Special Episode! Could we BE anymore excited right now?! The news came last night as it was annouced that the world's favourite six, Ross, Rachel, Monica, Chandler, Pheobe and Joey, are coming back for a two-hour special episode of Friends, according to TV network NBC. And the people are, like, FREAKING OUT. What have become of the gang since we last saw them in 2004? Well, you won't have to wait long to find out! NBC have said that Jennifer Aniston, Matthew Perry, David Schwimmer, Lisa Kudrow, Courtney Cox and Matt LeBlanc have all signed up for a special 2-hour episode of the infamous sitcom to honour director James Burrows, who directed 15 episodes of Friends in its prime, and has just celebrated directing his 1000th TV programme. Which of course is the only thing bonkers enough to bring the gang back together. If you don't recognise the name James Burrows, you will recognise some of his shows. The legendary director has been in the industry for over 40 years and has directed episodes of classic comedies such as Cheers, Frasier, Mike and Molly and Will & Grace. If the reunion goes ahead, it will be the first time that the six would have appeared altogether since the show ended in 2004. All six of the Friends cast went on to work on other projects - Jennifer Aniston with her many romcoms and, of course, the fantastic Cake; Matthew Perry is currently starring in The Odd Couple with his 17 Again co-star Thomas Lennon; and Lisa Kudrow is making waves with her character Valerie Cherish in the hit sitcom The Comeback. Both Courtney Cox and Matt LeBlanc have spent their post-Friends careers starring in Cougar Town and Episodes respectively. David Schwimmer has mainly been behind the camera rather than in front of it with a solid career as a director, but is currently starring as Robert Kardashian in America Crime Story. And occasionally a few of the cast members have come together - remember the Jimmy Kimmel sketch that brought Jennifer, Courtney and Lisa back together? It was kind of magical. However, this will be the first time the cast members will be back together and playing their original characters. Although having said this, the network is still not sure whether all six members will appear together on screen. NBC's chair of entertainment Bob Greenblatt said of the reunion: "I’m hoping all six of them will be all in the same room at the same time, but I’m not sure if we can logistically pull that off." So where will the characters be 12 years on? What kind of parents will Monica and Chandler be? Will Joey finally be settled? Will Ross and Rachel still be together? Have Mike and Pheobe become parents to some beautiful hippie kids? So many questions to be answered, but we won't have to wait long to find out - the special episode is due to be aired on NBC on 21st February 2016 and will be produced by Sean Hayes who previously worked with Burrows when he played Jack on Will & Grace (Burrows directed nearly 200 episodes of the popular sitcom). Many characters from Burrows's previous directing gigs are due to appear on the special too. Only 1 month to go! OH. MY. GOD! Monica And Chandler Are Dating IRL! Star Wars: Episode VII Cast REVEALED!